Announcing financial results today for the first nine months of this year, Lufthansa Group executives offered an update on the company’s distribution and digitization strategies. In short, it will be some time before the split from traditional distribution practices bears fruit. As it moves to a Datalex-provided platform, Lufthansa Group carrier Swiss is expected next year to begin providing more dynamic pricing and specialized offers. Other network airlines in the group will not take advantage until 2020. 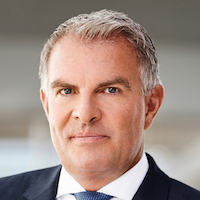 “There is currently a limitation to 26 booking classes due to the Amadeus and GDS restrictions,” Lufthansa Group CEO Carsten Spohr told analysts during a conference call. “We’re breaking that restriction” with a distribution strategy that offers “unlimited” opportunity for specific price points. He said the company aims to aggregate passenger data from all its carriers. Lufthansa Group’s overall distribution approach, leveraging IATA’s New Distribution Capability, was already underway at Swiss. It includes efforts toward more personalization for corporate clients. While data would be used to make unique offers, Spohr assured investors there would be no price discrimination based on age, location or other criteria. “We are convinced this will increase our revenue per available seat kilometer,” he concluded. Lufthansa Group this year hasn’t talked much about changes to its distribution system costs. Its full-year 2016 report referenced a “notable” 38 million euro increase, no doubt driven in part by the higher GDS prices the group’s airlines are paying after it opted out of full-content agreements in late 2015.